At L’Escarbot Kennels we hunt, train and breed French Brittany Spaniels that are from the top pedigrees in Europe. At L’Escarbot Kennels we hunt, train and breed French Brittany Spaniels that are from the top pedigrees in Europe. We have been involved with the French Brittany Spaniel for many years. Before that time, since we were young kids, we had the American Brittany. Our passion for the Brittany Spaniel has been with us ever since. We offer a professional pointing dog training program that can begin when your Brittany Spaniel puppy is just four months old. Phase One is hourly training for puppy and client which would consist of basic obedience – heeling, whoa training, “here” command and moving into light bird work and introduction to the gun. Once your Breton puppy’s prey drive has been developed, they would be ready for the next step in L’Escarbot Kennel’s training program. 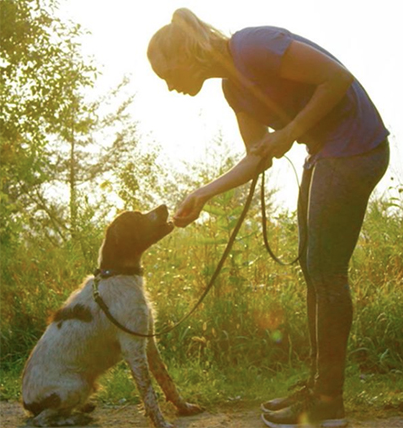 Phase Two is monthly training with your Brittany Spaniel onsite at L’Escarbot Kennels. This next step is a rigorous daily regimen of obedience training, whoa training, field training, retrieving exercises, whistle training, hand signals, extensive bird work, etc. 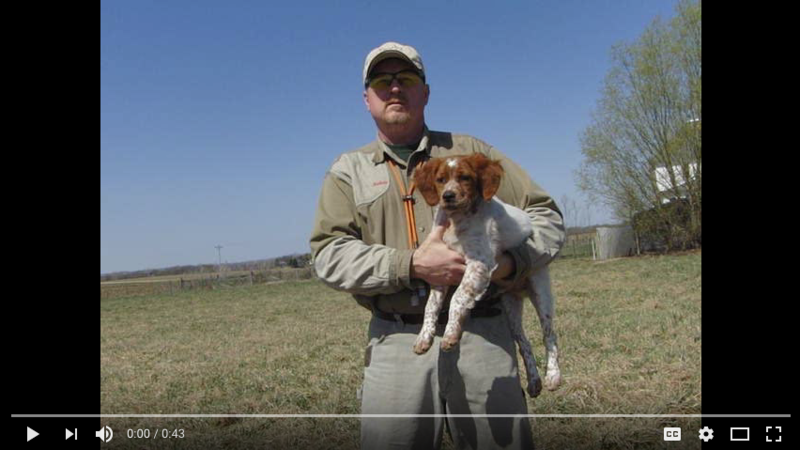 Trainer John Mooney will give weekly performance updates on the progress of your Brittany Spaniel.